Strawberries. Blueberries. Bananas. Protein. Spinach. There’s no end to the assortment of yum-yums you can throw into a smoothie for a delicious, nutritious way to get your fruits and veggies. Next time you’re in the mood for a frozen, fruity treat, check out the following 10 best smoothie places in the great state of Kansas. The Songbird Juice Co. in Wichita, Kansas, specializes in cold-pressed juicer made with fresh, local ingredients. The sell smoothies, juices, and acai bowls with a focus on healthy living. Ever want to try a cleanse? They have one, three, and five-day starter kits. Juice Stop in Topeka, Kansas is a family-owned and operated business with the goal of providing “real fruit smoothies and vegetable juices that taste great and are a healthy alternative to traditional fast foods.” One of our favorites is the Sideout, made with peach juice, pineapple juice, bananas, strawberries, peaches, and orange sherbet. T. Loft brings healthy eating to the forefront in their five Kansas restaurants. According to their website, “T. Loft is a growing community of health cafes offering fresh, all natural food and beverages.” Stop in to get your smoothie fix at their two Kansas City locations, one in Leawood, Lawrence, and Paririe Village. Robeks Fresh Juices and Smoothies may be familiar to those living on the coasts, but the only Kansas location is in Overland Park. Smoothies, juices, bowls, and more fill out the menu, with the superfood smoothies taking center stage. 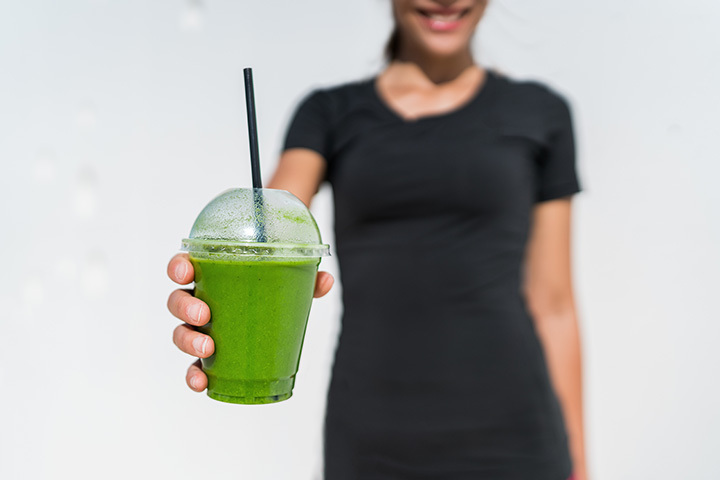 We recommend trying the Queen of All Greens, made with kale, spinach, banana, pineapple, and apple juice. Choco Fruit in Dodge City, Kansas, has one central mantra: to “enjoy some delicious ice cream while hanging out with family and friends in a great environment.” The menu includes rolled ice cream, juices, and custom-made smoothies. Simple Science Juices was voted the #1 organic cold pressed juice bar in Kansas City. They make their juices and smoothies with raw, organic, and local ingredients. Order online at their website or head into one of their three stores and two farmers market locations. Aero Juice in Manhattan, Kansas, is the first location outside of Florida. They specialize in providing a healthy alternative to traditional fast food. To those ends, their menu of delicious smoothies, fresh juices, sandwiches, and wraps provide the perfect meal on the go. The Well is one of the best local watering holes for McPherson residents of all ages. Sit down with a cup of coffee or a delicious smoothie and enjoy the ambiance, conversation, and delicious offerings. Order an espresso, tea, chai, pastry, cupcake, breakfast sandwich, smoothie, and much more. Okay, so this may not be a traditional smoothie spot, but it’s more than deserving to be on this list! For the healthiest-minded among us, Emporia Fitness is the perfect spot to pick up a delicious smoothie. And, while you’re there, may as well sign up for a membership and get your sweat on, too.